Larger workshops servicing 10 – 20 vehicles per day. The MDX 600 is the ideal tester for you. This tester has a lot more flexibility in the types of vehicles it can test including cars, motorcycles, marine, Group 31 and commercial 4D/8D. It has the ability to test both 6v and 12v batteries as well as stop start batteries with the MDX 641/651. 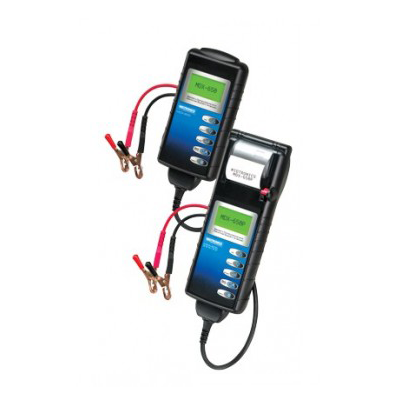 These testers also perform advanced starter tests as well as alternator charge tests. An inbuilt printer is also available allowing you the ability to record results.MDX P300 is the Ideal solution to your battery testing needs. Easy to use tester with results within 90 seconds and the ability to print result of the test, to show customer and as a record for future referencing.